MONROE, Wash. – A workshop about using livestock guardian dogs for predator control will be held 1-4 p.m. Saturday, March 25, in the Qualco Energy Conference Room, 18117 203rd St. SE, Monroe, hosted by Washington State University Snohomish County Extension. Space is limited and prepaid registration is required. Cost is $25 per farm (up to two) or $15 per person. Register online at http://LGD.eventbrite.com or download the form at http://snohomish.wsu.edu/event/LGD and mail with a check. For more information, contact Kate Ryan, 425-357-6024 or kate.ryan@wsu.edu. 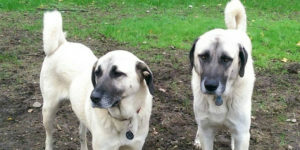 Instructor Laura Faley has used livestock guardian dogs for six years at Hidden Meadow Ranch, her working farm near Mount Vernon, Wash. She will discuss many aspects of using the dogs for predator control, including training, effectiveness, food, neighbor relations, fencing and space, neutering, breeding and whether the dogs make good family pets.